A calendar with upcoming events, that provide information and training connected to digital and technology. A KEY can be found at the bottom of calendar, outlining the provider of the workshops. Feel free to send details to info@digitaliq.com.au, or click on the button below to provide details to be included on this community calendar. 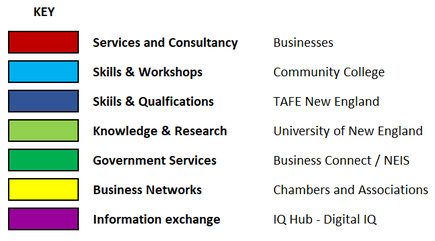 Information is actively pursued via training, community and business groups for around the region.